BEIJING – Ivanhoe Mines of Vancouver and CITIC Metal has signed a long term strategic co-operation agreement that will give CITIC a 19.9% stake in Ivanhoe. CITIC becomes Ivanhoe’s largest investor, leaving chairman Robert Friedland with a 17% stake. The terms call for Ivanhoe to issue about 196.6 million shares to CITIC through a private placement at a price of C$3.68 per share. The Chinese company will invest about C$723 million, beginning with a US$100 million interim loan facility. 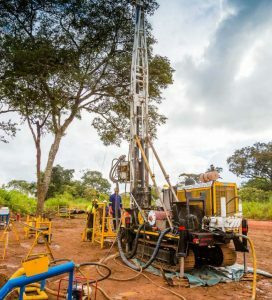 Ivanhoe will use the proceeds to advance its development projects in southern Africa – the Kamoa-Kakula copper, Platreef PMG and Kipushi zinc-copper projects. The arrangement is contingent on approval of the CITIC board and the Toronto Stock Exchange. Please visit www.IvanhoeMines.com.